BUY DRACULA, VOL 2OF2, AND DRACULA'S GUEST, BY BRAM STOKER AND THE VAMPYRE, BY JOHN POLIDORI FOR FREE! The saga of Dracula continues as a band of companions form a league to destroy the unholy vampire known as Count Dracula. 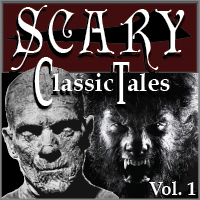 Released as two separate products, (in order for financial supporters to maximize their coupon codes), this is an audiobook event to be enjoyed over and over again. From Lynnwood Andrews of Alpine, New Jersey on 4/18/2016 . From Jim of New York, New York on 12/7/2015 . A great story to listen to. I never really knew the full story. Spooky fun. Great, skillful job by BJ, handling narration and voices in a highly entertaining and clear manner. From Jory Laine of Wheat Ridge, Colorado on 11/11/2015 . Great story and interpretation. BJ is just very good at this. From Emanuel of Vancouver, British Columbia on 11/11/2015 . Another remarkable audiobook from B.J.! Amazing novel, and perfect narration from B.J. - definitely a must listen. 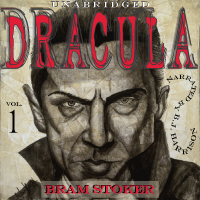 Dracula, by Bram Stoker, Vol 1of2 [Classic Tales Edition] (Unabridged mp3/AAC download) – Don't forget to get Volume One!